On cold winter nights the kids and I love curling up on the couch and watching a movie. One of the movies on high rotation is Madagascar. I happen to think the King Julian’s antics are hilarious while Beckett wants to bring Mort home as a pet. Believe me I have looked for a stuffed Mort…let me know if you find one. As a member of the Netflix Stream Team I get insider information about what is coming up next on Netflix. I am very happy to share the our beloved KING JULIAN has a show of his own! The world’s biggest party animal is getting ready to ascend to the throne in DreamWorks Animation’s ALL HAIL KING JULIEN, an all-new Netflix original TV series. The first five 22-minute episodes will be available to Netflix members in the U.S., Canada, Latin America, UK, Ireland, the Nordics, Benelux and France to watch instantly beginning on Friday, Dec. 19. Long before the Zoosters arrive on Madagascar, King Julian holds court – not to mention nightly revelries – over a colorful cast that includes fan favorites Mort and Maurice, along with a host of all-new jungle dwellers as they take on the craziest adventures and wildest parties the jungle has to offer. 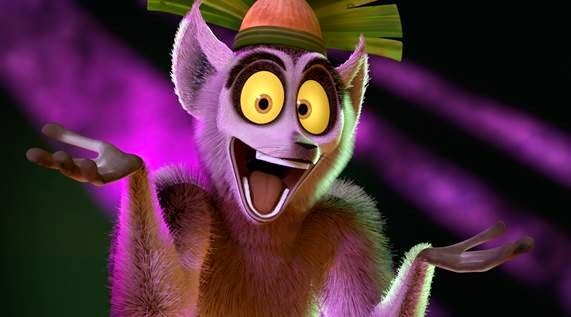 School will have just let out for the Christmas Break and the kids and I will be celebrating with King Julian. Why don’t you join us ? ← Do you have 24 hours to spare?